The authorities in Saudi Arabia have arrested more than 20 clerics and intellectuals in an apparent crackdown on dissent, activists say. 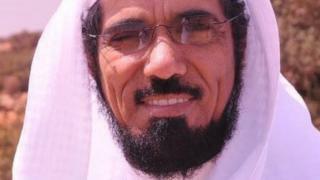 Prominent Islamist clerics Salman al-Odah and Awad al-Qarni are among those reportedly detained since the weekend. There has so far been no confirmation from the authorities. But on Tuesday, state media said a group of people acting on behalf of "foreign parties against the security of the kingdom" were being held. The individuals were not identified, but a security source told Reuters news agency they was accused of "espionage activities and having contacts with external entities, including the Muslim Brotherhood". The Brotherhood, an Islamist movement designated a terrorist organisation by Saudi Arabia, is central to a dispute between the kingdom and neighbouring Qatar. Saudi Arabia, the United Arab Emirates, Bahrain and Egypt severed all links with Qatar in June, accusing it of supporting regional terrorist groups. Qatar acknowledges that it has provided assistance to the Brotherhood, but denies aiding jihadists linked to al-Qaeda or so-called Islamic State (IS). UK-based human rights activist Yahya al-Assiri told the Wall Street Journal the officers who took Mr Odah into custody in Riyadh on Saturday night had cited his failure to express his support for Saudi policy on Qatar as a reason for his arrest. On Friday, Mr Odah had expressed hope on Twitter that a telephone conversation between Saudi Crown Prince Mohammed bin Salman and Qatari Emir Sheikh Tamim bin Hamad Al Thani signalled an end to the dispute. However, Saudi officials subsequently announced that they were suspending all dialogue with Qatar, accusing it of "distorting facts" in a statement about the conversation. Mr Odah, who was once known for his extreme religious views and was imprisoned from 1994 to 1999 for agitating for political change, is a popular cleric with 14 million followers on Twitter. Mr Qarni, who was detained in the southern city of Abha, had reportedly called for better relations with Qatar on his Twitter account, which has two million followers. On Wednesday, activists circulated a list of other figures they believed had been detained, including several other clerics, academics, television presenters and a poet. Some had no clear links to Islamism or obvious history of opposition to the Saudi monarchy. The Saudi interior ministry meanwhile urged citizens to report any comments on social media promoting "terrorist or extremist ideas" via a phone app launched last year. The public prosecutor reminded them separately on Twitter that "harming the state's reputation or status" constituted a "terrorist crime". The apparent crackdown also comes after an opposition group calling itself the "15 September Movement" issued a call for peaceful protests this Friday to press the authorities to tackle poverty, increase women's rights and release political prisoners. Protests are banned in Saudi Arabia.